The EO in EO Moms stands for Essential Oil. EO Moms was created for the purpose of educating other moms on the value and uses of pure, high-quality essential oils. EO Moms wants all families to experience the wellness that is possible through essential oils. In addition, EO Moms provides education and support for moms who want to explore the business side of Young Living essential oils and helps them on the path toward wealth through essential oils. Who is an EO Mom? An EO Mom is a mom who is passionate about essential oils. Whether she uses them for homemade cleaning products, homemade beauty products, natural wellness or all of the above, an EO Mom knows the incredible value of pure, high-quality essential oils. An EO Mom may want to build her own business around essential oils or she may not be interested in the business side of essential oils at all. Either way, she is part of a community of moms who can support her on her essential oils journey. 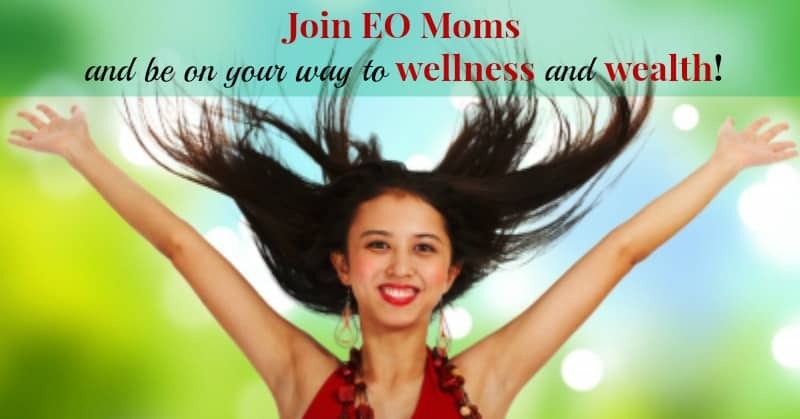 Why should you join EO Moms? When you step into the world of essential oils it can be a bit overwhelming at first. The EO Moms community can help you discover how to use the oils and recommend new oils to try. Being a part of EO Moms will ensure that you understand the ends and outs of using and purchasing Young Living essential oils so that you can experience all that Young Living has to offer. If you are interested in the business side of essential oils, EO Moms can provide you with the information and the support you need to grow your own essential oil organization and get on the path to financial freedom. In addition, EO Moms offers goodies to new members such as free gifts and giveaways! What if I’m not a mom? These oils are too valuable not to share with everyone who is interested! EO Moms would never turn away anyone who is not a mom. It is too important that every person experiences the power of essential oils. Just note that many of the community conversations will center around moms using and sharing essential oils. Who should not join EO Moms? It is the goal of the leaders of EO Moms to be very hands-on with the community members in order to ensure a quality experience. Because we are busy moms ourselves it is important that we limit the membership of EO Moms to the following people: Young Living members who are in our down lines. If you are already a Young Living member, talk with the person who enrolled you to find out if he or she is a member of EO Moms. If so, then you are welcomed to join! Ready for the next step? Need more information first? Enter your email address below for more information.